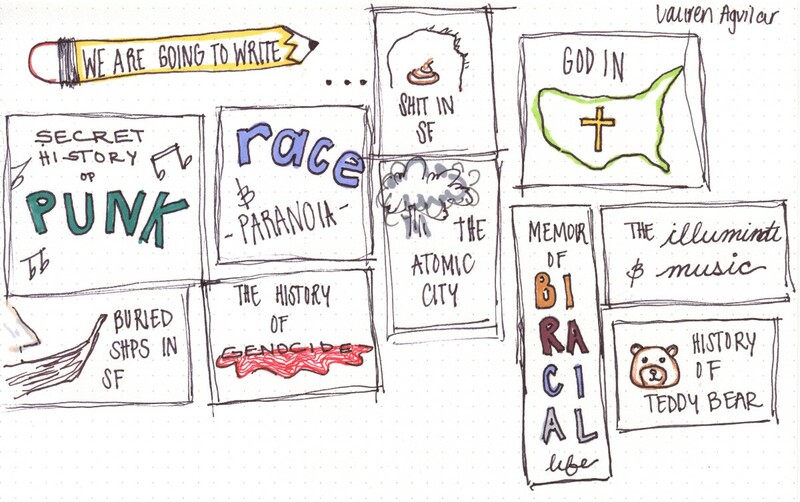 Sketches of the secret histories of America, as told by UC Berkeley students. Life in the stands at a San Jose Earthquakes game. An honest assessment of the problem of public bathrooms in a city that’s hostile to the poor. The American hipster, circa 1800. When a group of UC Berkeley students were selected to tell the secret history of America to the public on Medium.com, these were some of the stories they chose to tell. The class — titled “The Secret History of America” and made up of 15 or so handpicked students — was the brainchild of American studies professor Michael Cohen, whose piece published on Medium about “douchebag” being the best white racial slur eventually picked up national attention. So they did. After spending the first half of the semester immersed in readings and discussions, the second half pivoted into a kind of creative writing class where students were trading work with each other and workshopping pieces. What is the story we want to tell? What is the best way we can tell it? The parameters of the assignment were intentionally broad, and the results were predictably varied. Some students used the platform to produce personal essays that examined subjects like racism, life inside a multiracial family, and white privilege and genocide. Others, tacking away from more personal stories, traced fingers along San Francisco’s Barbary Coast and pulled back the curtain on life at the headquarters of the Manhattan Project. Though the students encouraged each other within the classroom, the gaze — and clacking keyboards — of the public gave some of them pause. As the Internet continues to become more ubiquitous in daily life, so too does the problem of trolls and vitriol in comment sections. “There were a lot of worried looks that first day when Professor Cohen said that the end goal was to write a piece and publish it online,” says Kristen Wilson, who wrote about the relationship between atheism in America and the Cold War. This, too, is part of the education. And in an open, online culture that sometimes yields cyberbullying, threats and malicious publishing of private information, learning how to deal with commenters is not without value. While the cause for concern may have been real, the results have largely spoken for themselves. Students received a small handful of negative comments, but for the most part the experience was positive. After the launch of the class page, staffers at Medium found a handful of the pieces and promoted them. Page clicks and shares blossomed, and the class page amassed nearly 2,000 followers. The class page may soon have some new posts, as Cohen plans on having the next group of secret historians take a look at the 2016 presidential election.